Is FaceBook Down today? – T.D.G. 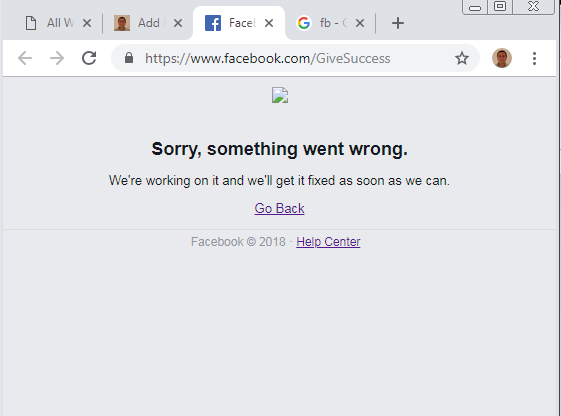 Home ComputersIs FaceBook Down today? Posted on November 12, 2018 November 12, 2018 by Tom G.
WOW, I tried to go to my Facebook page and is would not load. Facebook must be down for some reason. It doesn’t happen that often so I had to try it a few times in Firefox and Chrome to make sure…lol. I am glad I have this website to use when I have to write something online. I need my fix…lol Well I hope FB is up again soon so the world can resume is rotation.